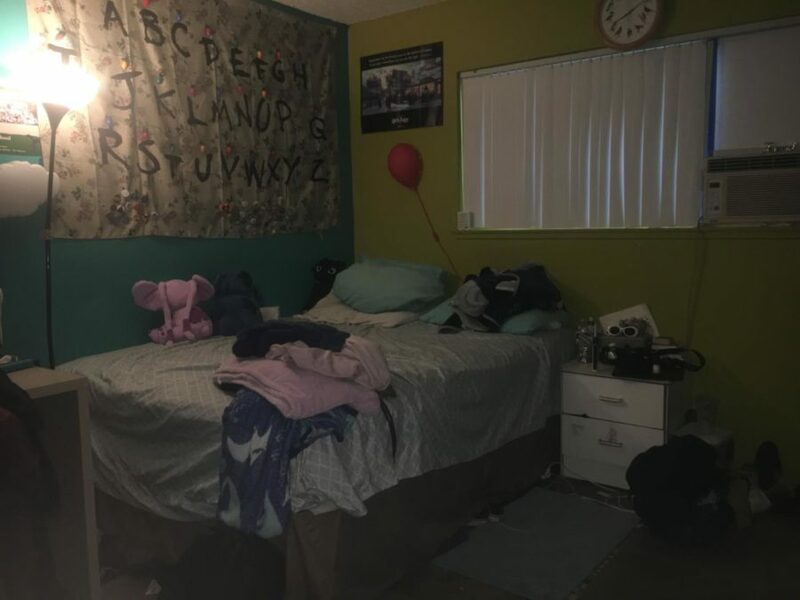 A photo of the bedroom Marycruz Rivera shares with her mom and niece. Photo taken January 30, 2019, in the Mile Square Park neighborhood. Senior Marycruz Rivera is the youngest child. She wakes up early just to take a shower and usually gets dropped off at school first. She currently lives with five people in her apartment which has two bedrooms and two restrooms. Living with five other people and having to share a room can bring some rules. And when it comes to doing homework she finds it noisy and isn’t able to concentrate. 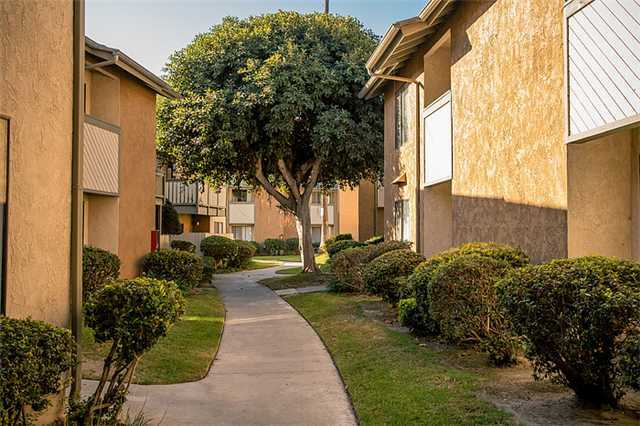 A photo of the apartment complex where Marycruz Rivera’s family resides. The average apartment is 2 bedrooms, 2 bathrooms but Rivera has seen multiple families living in each apartment. Her housing situation and her necessities have caused her to start working at KFC. Just like everyone else, she doesn’t like working but she has to in order to support her mom since her father isn’t present in her life. “Growing up without my father is hard but I have learned to accept it and don’t mind it as much anymore,” Rivera said. She moved during middle school to her current apartment. Her neighborhood is relatively safe. The only downside she mentions is how sometimes there are people racing or revving their engine around the neighborhood just to disturb the residents. Her life has been hard but she continues to work at school and in her job in order to accomplish her goals and make her mom and siblings proud. Junior Ashley Ortega lives comfortably, but is expected to share a room with her 13-year-old niece. Stuck between eight other people. Junior, Ashley Ortega is the youngest of her two siblings. Ortega says she “lives comfortably” in her 5 bedroom home which she has lived in her entire life. Ortega lives with her mother, father, sister, brother, niece, grandma, sister-in-law, and her aunt. She shares a room with her 13-year-old niece. Ortega has concerns over sharing her bedroom with her niece which include lack of space and different sleep patterns. Ortega tends to stay up till 1 a.m. most nights to get her AP (Advanced Placement) homework completed for the next day. Ortega’s niece doesn’t complain but her aunt and uncle do ask her to turn out the light at times. She resorts to using her flashlight on her phone so she won’t get in trouble. 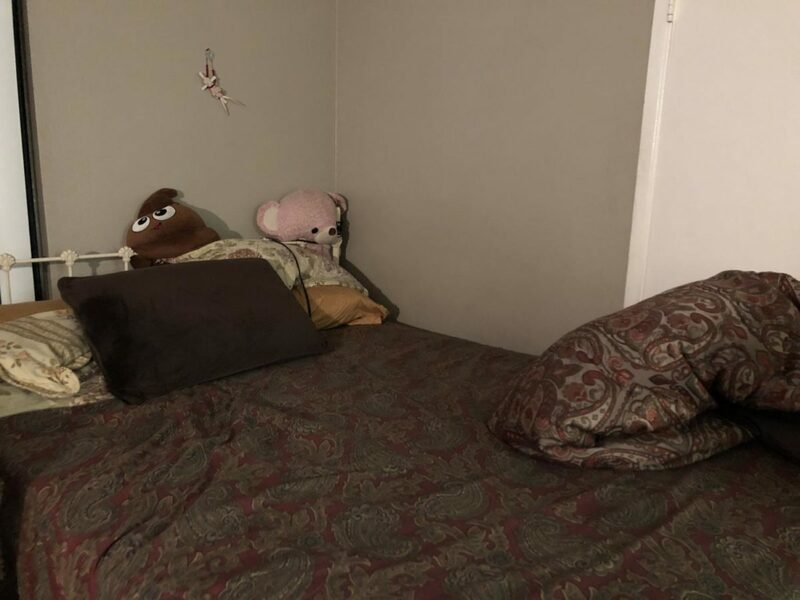 She said, “we both have a lot of things, so sometimes we argue over where to put things and whose side is whose.” Even so, Ortega lives pleasantly as she is used to sharing her bedroom. Having a five bedroom home for nine people there is a shortage of space. 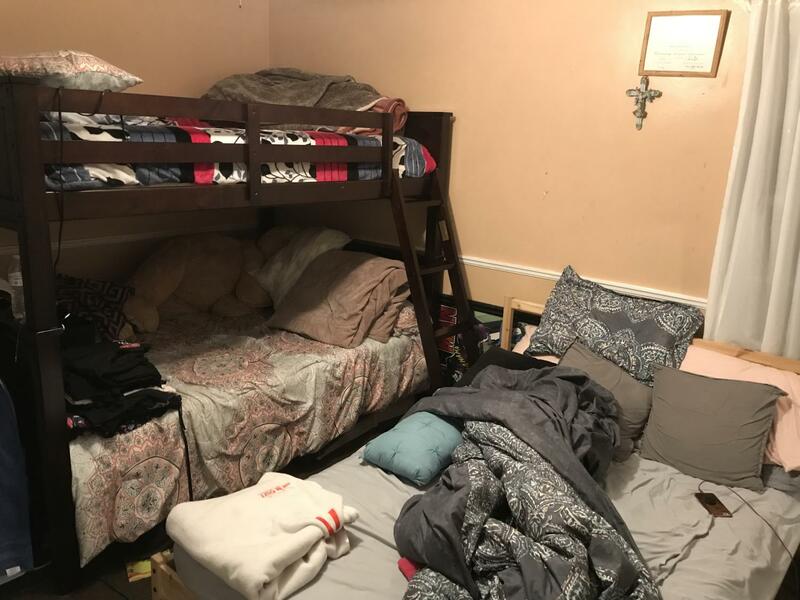 With a full house, the Ortega family decided to convert the garage into a bedroom for her brother and sister-in-law to sleep in. Ortega’s mother pays $1,150 a month for rent as the house is owned by her grandmother. Living in Santa Ana there is always a chance of something an unforeseen happening. One morning Ortega met face to face with a homeless man in her front yard. Nothing happened and no one was hurt, but even so, there is always an underlying danger in the streets of Santa Ana. Despite the lack of space, Ortega is happy to live in the home she shares with the people closest to her, her family. Photo of Steve Pineda's street. These homes were built after WW II in 1948 and many have not been updated. Photo taken on December 18, 2018. Housing Insecurity has become a common issue among students with a Hispanic background. For Steve Pineda, sharing a room with his mom and sister hasn’t been easy. With very little privacy and almost no alone time, Pineda has shared his bedroom as long as he can remember. And although he lives in a three-bedroom house, the other two bedrooms are occupied by renters in order to make rent each month. He says it’s been difficult, but he believes this situation has not affected him. 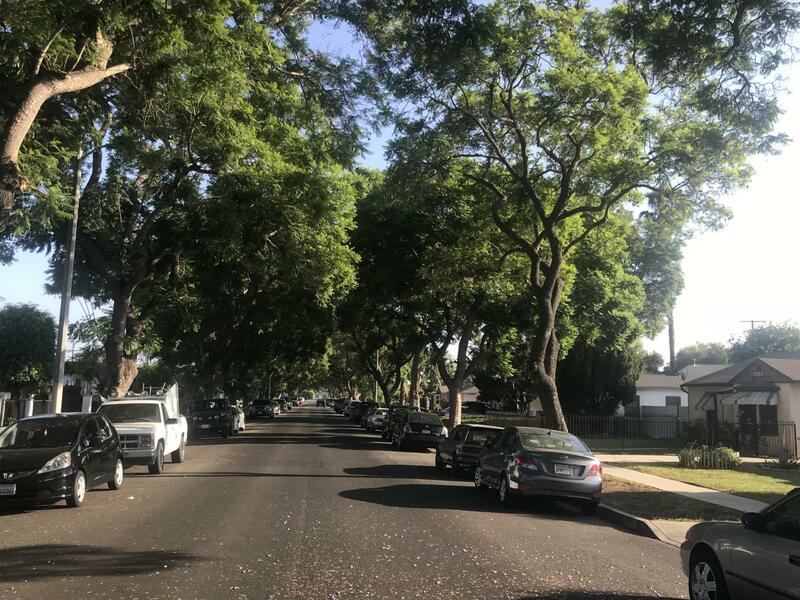 Overall, Pineda is aware that other students are more severely impacted by this housing insecurity situation but he does feel it really affects him even if it means less space for his entire family. Pineda and mom know that having renters is just a way of life to get the rent paid every month.